We found TOGS most valuable during out-of-the-saddle climbing efforts. 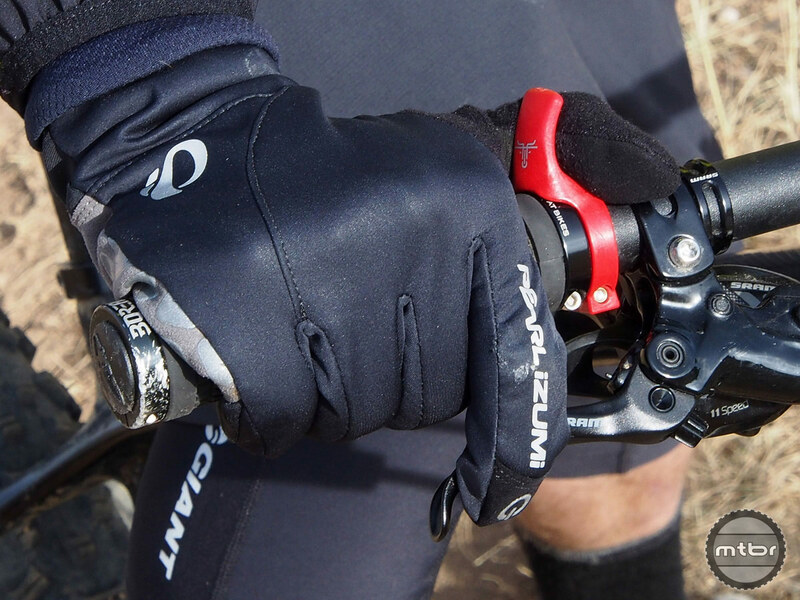 Once I got used to them, the TOGS (Thumb Over Grip System) became a valuable asset, allowing me to switch hand position on longer rides when numbness and hand fatigue might otherwise be an issue. I wouldn’t mount these on every bike I own. But for extended cross country affairs, where long climbs or sustained flats on are the menu, TOGS are a welcome addition to the arsenal with minimal weight or economic penalty. And they kind of look cool, too. Take the bull by the horns. It’s one of those clichés red-faced football coaches spew at unmotivated players. At least that’s what always came to mind when I heard the phrase. (Yes, it’s a personal high school flashback.) But after spending some time with a set of TOGS mounted on my mountain bike, the proverbial bull has taken new meaning. 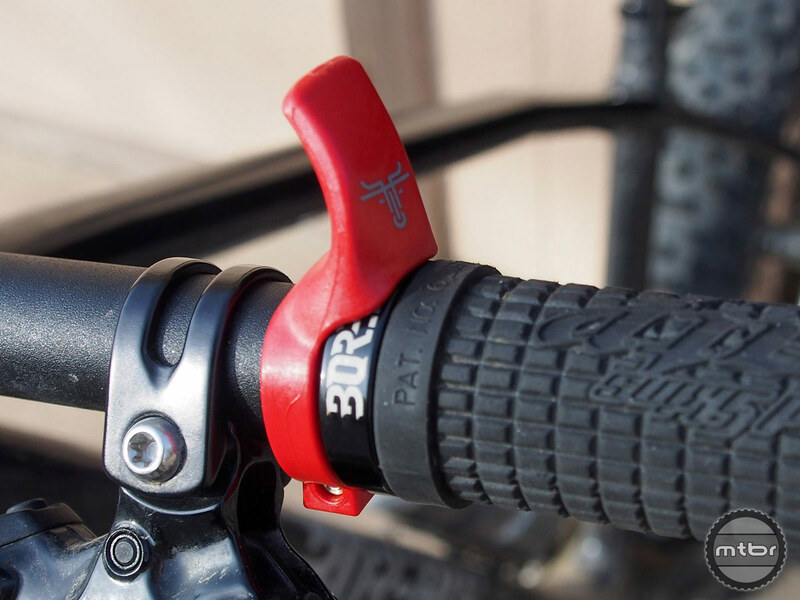 TOGS recess nicely over your grips, taking up minimal room on your bars. 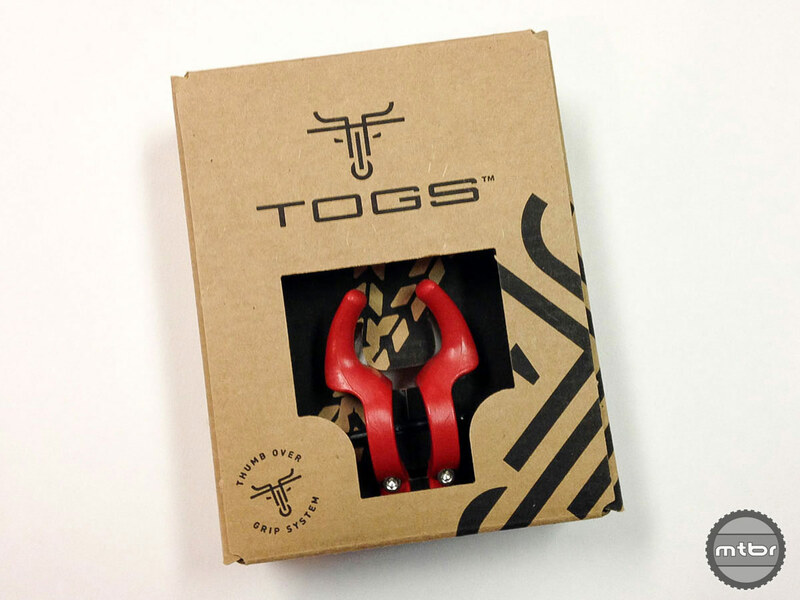 TOGS, which have a logo that resembles a bull, is short for Thumb Over Grip System and is the creation of some enterprising folks based in the Salt Lake valley at the foothills of the Wasatch Mountains in Utah. 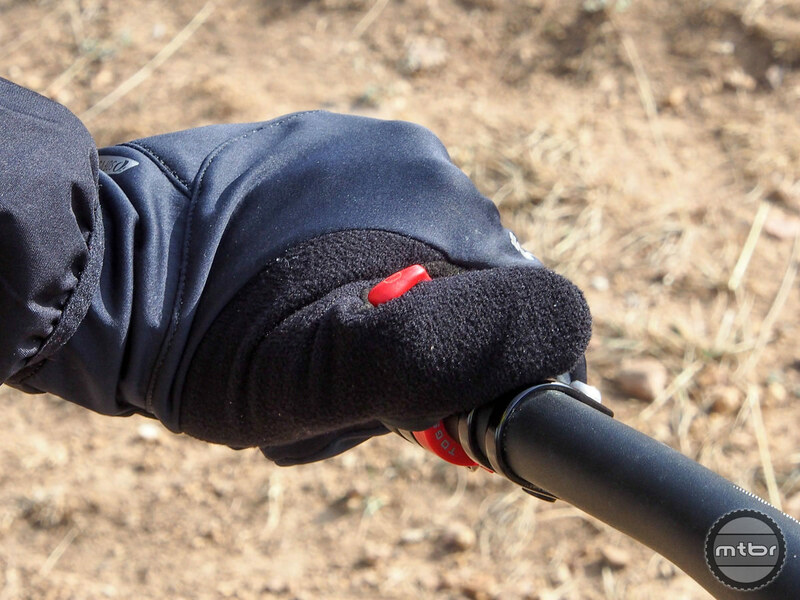 According to the TOGS website, the idea spawned from the envy these mountain bikers had toward road riders who could change up hand position by draping their fingers over the hoods of their drop bars. They could have opted for bar-ends, but the TOGS crew was turned off by the extra weight and potential for hooking wayward tree branches or other side-of-trail impediments. So they did a little research, saw some of the make-shift solutions various pros were using, and then fashioned their own design. 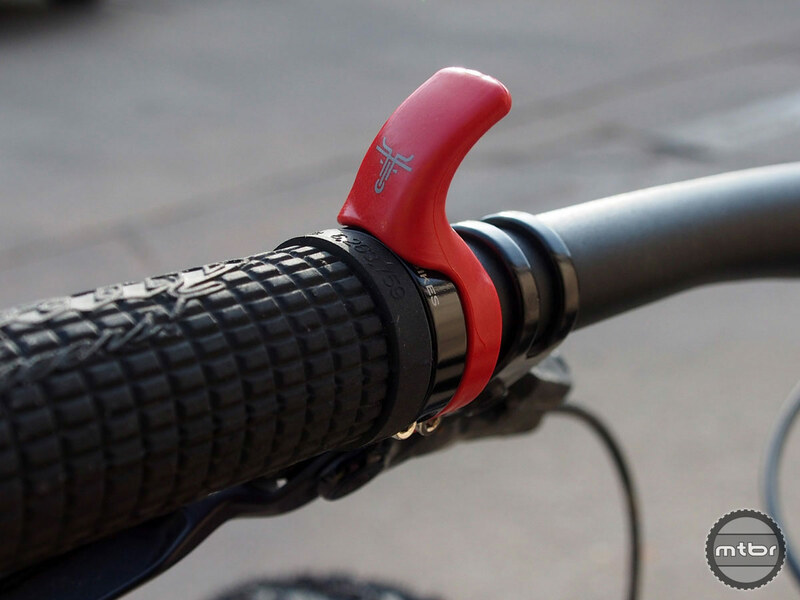 The end result are these $25 hard plastic, horn-shaped bar attachments that provide additional hand positions for mountain bikers, while maintaining access to shifters and brake levers. Installation is easy. Pull off your grips, slide on the TOGS, and then tighten everything back in place using a 2.5mm Allen key. 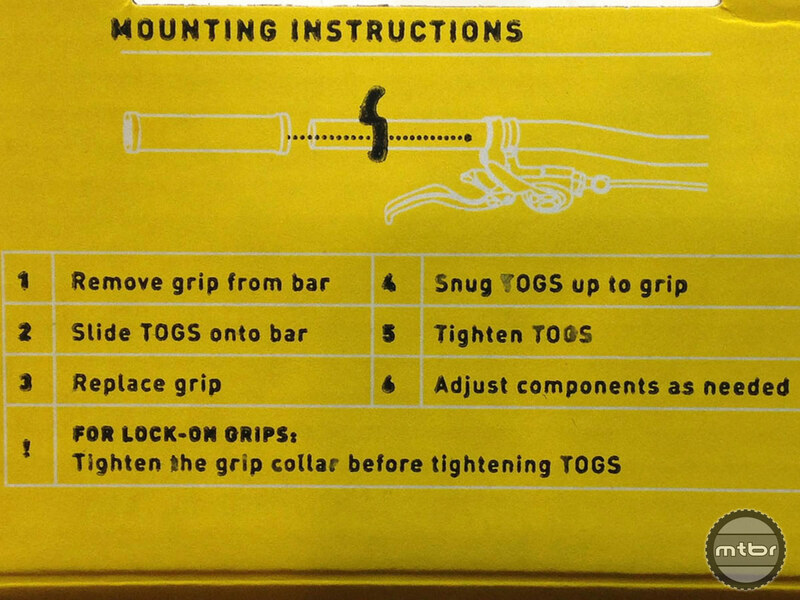 The TOGS shape allow them to recess nicely around your grips, so they don’t take up much space, which is good news for folks with already crowded cockpits. The weight penalty is a scant 18 grams for the set, roughly the equivalent of four quarters. The extra hand position can help cut down on fatigue and numbness. 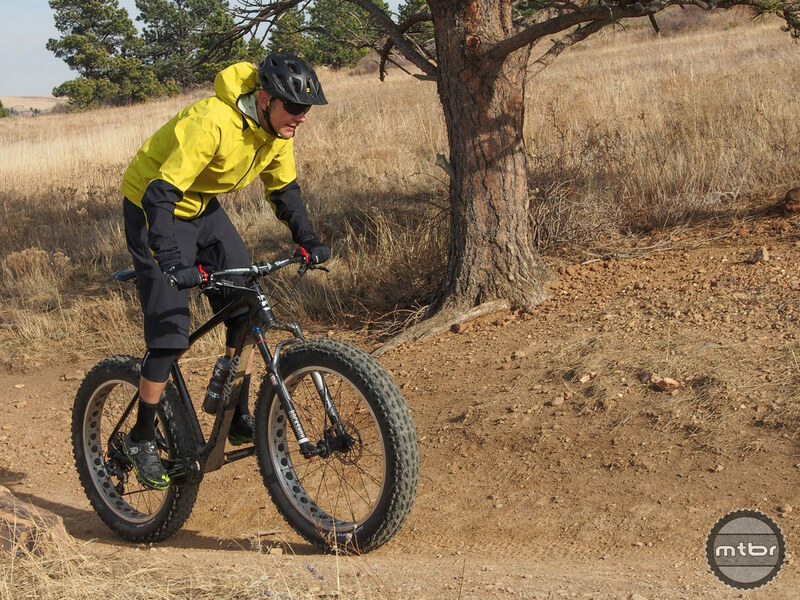 I mounted them on several different bikes, including the Borealis Echo fat bike shown in the photos that accompany this review. Initially, I didn’t use them much. Honestly, I’d forget they were there, which speaks to the level of intrusion. It also took a little time to dial in position. 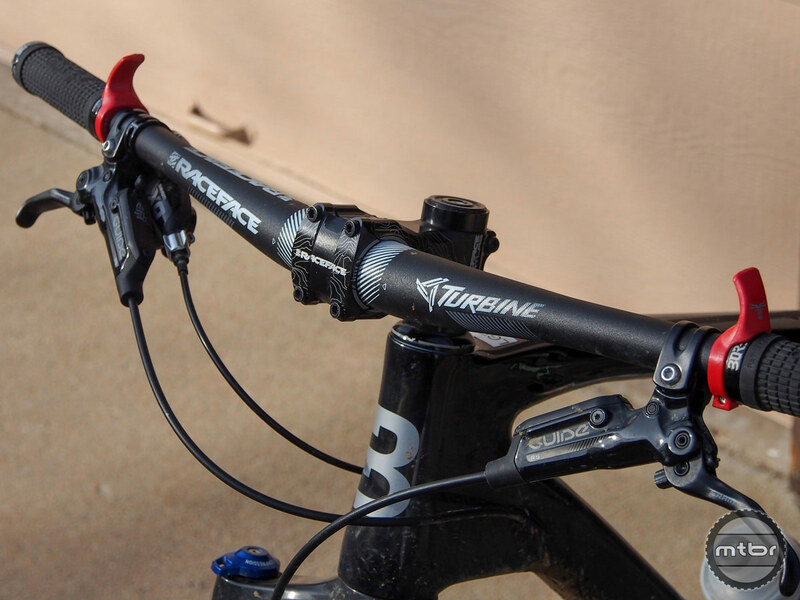 Best to carry an easily accessible Allen key on the first ride so you can make adjustments. But once position was dialed and I’d reminded myself enough times that the TOGS were there, I started sliding my thumb up and over from time to time, especially during out-of-the-saddle efforts when the extra purchase was especially helpful while climbing. I also frequently used the “TOGS position” on the flats, though if things started moving fast or there were techy obstacles to negotiate, I usually resumed the normal hands-fully-wrapped-around-bars position. Same goes for descents, when I preferred a standard grip. Bottom line, once I got used to them, the TOGS became a valuable asset, allowing me to switch up hand position on longer rides when numbness and hand fatigue might otherwise be an issue. I wouldn’t mount these on every bike I own. But for cross country affairs, where long climbs or sustained flats on are the menu, they’re a welcome addition to the arsenal with minimal weight or economic penalty. And they kind of look cool, too. Dialing in position is key. It took a few tries before we found the comfort zone. They give your bike a certain souped up look. Installation takes about five minutes. The weight penalty is 18 grams for the set. We dig the bull-like logo on TOGS. 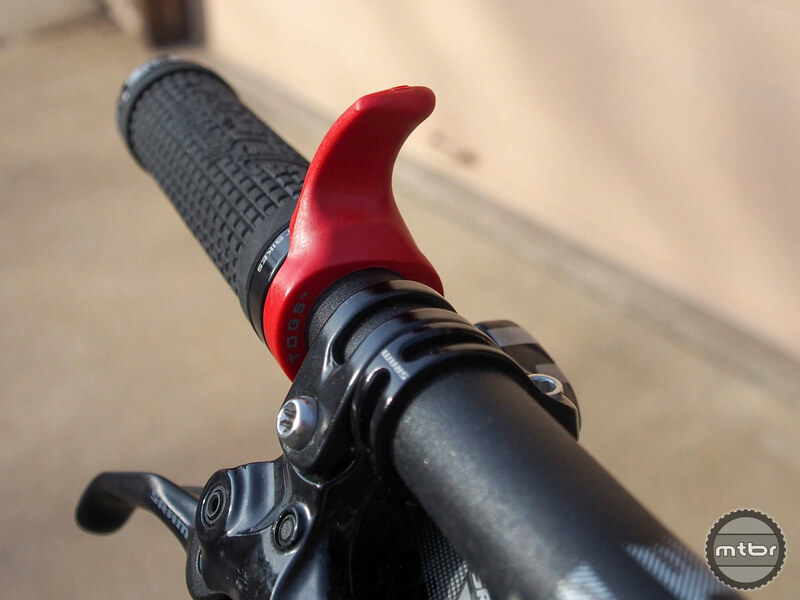 The Zytel DuPont thermoplastic is as solid as any non-metal part on your bike. I envisioned them angled more forward (in this position: http://reviews.mtbr.com/in-the-queue-a-look-at-whats-new-in-mtbrs-review-hopper/togs) than pointing straight up or back at the cockpit. Maybe an extended review where you have them in the position that more resembles road hoods which would have to be more comfortable? Maybe you did.. The photos do not show. This is what worked for us, but as noted in the review, desired positioning may change from user to user. If you try them out we’d recommend trying a variety of positions until you find the one that suits you best. Thanks for reading. After seeing these advertised on MTBR I thought about it and liked the idea. For a simulation I put a ding bell on one side and a stubby commuter light on the other, both symmetrically snuggled up to the brake levers on a single speed. After trying to wrap my thumb around these, I discovered a very useful position for climbing and the flats. The bike has by bar ends too. More variety is not bad. Great idea. Not sure if I need to buy these accoutrements though. I already place my hands in a similar position at times on extended climbs. I wonder though if one might get injured if you fell onto one? It is possible apparently. I got 14 stitches (4 internal, 10 enternal) on a fall where it gashed my arm open. This thing will rip ligaments (skier thumb) in a fall. Not sure I’d want something that shorts, shirt, knee pads, whatever could get caught on if you go OTB. These will go away after a round of lawsuits. They are nothing more than crash torture devices.